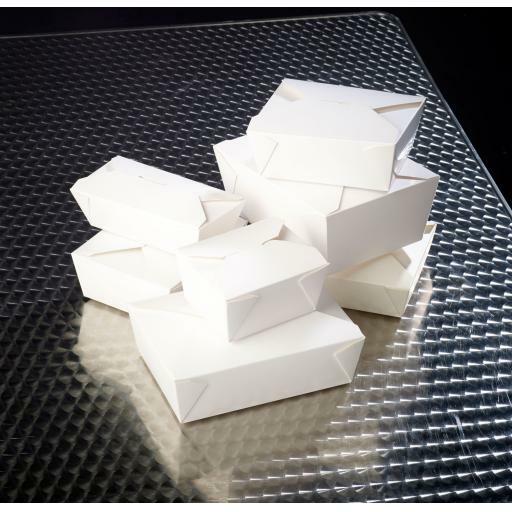 These No8 White 46oz Square Paper Food Containers Food boxes are suitable for hot, cold, wet or dry food products. Food Boxes are easy to fill & comfortable to hold, allowing little heat loss and condensation. Containers are leak and grease resistant and fully microwaveable. 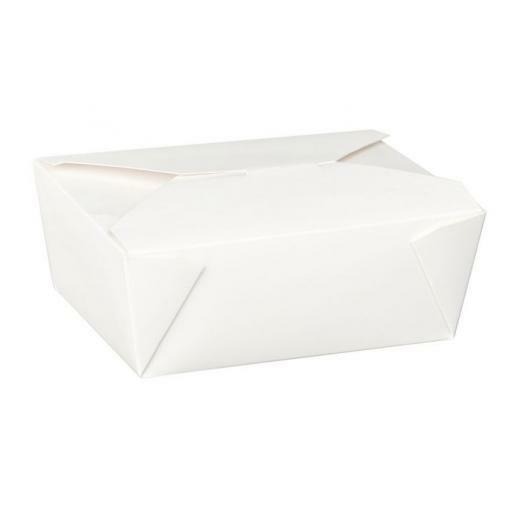 Commonly seen in fast food restaurants, also used as an economical alternative to foil containers. Folding tuck top interlocking lid. Safe in the freezer, and can be recycled.